The summer is a great time to come to Glasgow. A season of festivals, Scottish cities celebrate in style, adding a traditional twist to their cosmopolitan atmospheres. Families are welcome to explore and experience these vibrant centers of culture, and children and adults alike will find something to enjoy at family-friendly venues. this beautiful city is packed with family attractions, but summer is special because in addition to nice weather, you’ll find that many events are free of charge. Here are some favorite events that I enjoyed when I was a student there. With hundreds of interactive exhibits, this is a fun spot for everyone. 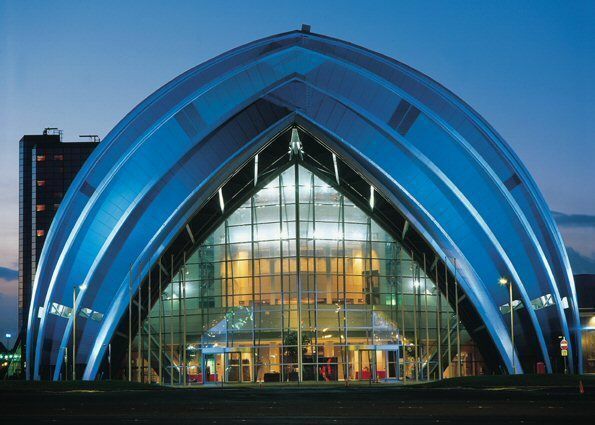 The center includes the Scottish Power Planetarium, Scotland’s only IMAX cinema, Science Show Theatre, Climate Change Theatre and the 127 meter-tall (417-foot) Glasgow Tower. Favorite animated characters Wallace & Gromit provide lots of scientific fun for all ages to enjoy, and each week the Centre organizes kids’ hikes, talks and other supervised activities. Allow time for a visit to the Whitelee Windfarm so the family can learn how these huge wind turbines work. This summer at the Glasgow Science Center there are also many festivals. This fun weekend event takes place from July 25-26, 2010, from 11am to 6pm; it’s perfect fun if you’re in town. 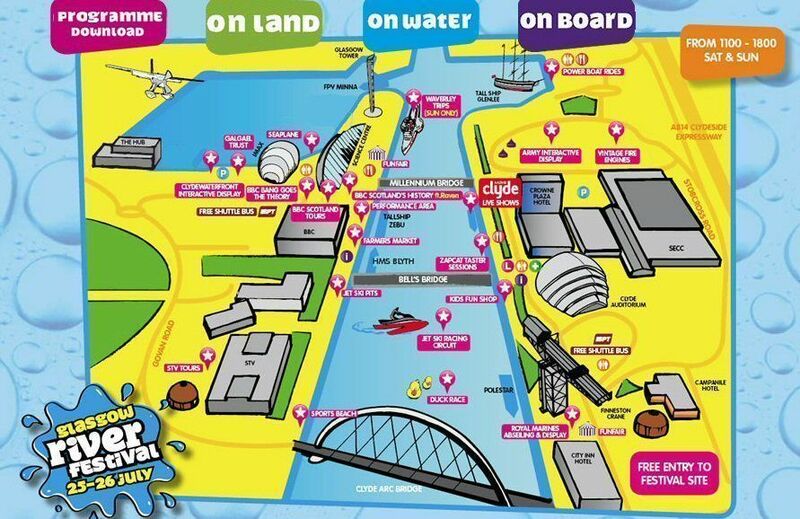 Taking place in and around the Glasgow Science Center, this free family fetival is filled with nautical entertainment as it celebrates the historic waterfront on the Clyde River both on water and on land. Taking place on Sunday June 20, 2010 from 12 to 8pm, this event is where Bollywood meets acrobatics and Bhangra shares the stage with in-line skating and Japanese drumming. Based on the traditions of the South Asian subcontinent, this is a colorful and inspiring festival of well… music and dance, that all ages will enjoy. Meaning “gathering” in Sanskrit, the Mela offers a vibrant mix of international musical cultures – from Bhagra to Russian folk to Reggae. Visitors can also browse around stalls selling everything from jewelry, henna painting and rugs, to curry and kulfi. 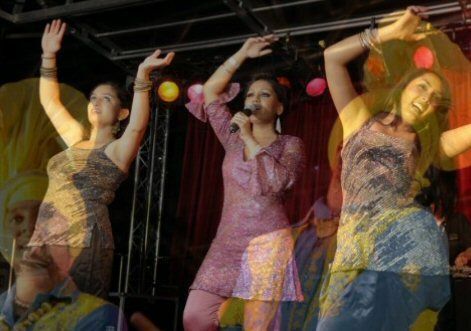 Don’t miss the Mela art tent, host to exciting exhibitions and creative workshops from cultural organizations throughout the city. So, bring your picnic blanket and spend the day enjoying the sights, sounds and smells of Glasgow’s residents. This summer, from August 9-15, 2010, bagpipes will rule the city. With events scheduled for bars, clubs, churches adn parks, among other venues, this festival offers a great taste of Scottish culture through music and entertainment. Attracting over 20,000 people, family members of all ages can enjoy the Scottish bagpipes, with some performances offering a twist on the traditional instrument. A program of the Glasgow Building Preservation Trust, the annual Doors Open Day (September 14 through 19, 2010) ceelbrates Glasgow’s Built Heritage. It’s an opportunity for visiting families to tour buildings and structures not usually open to the public. Check the site for updates on participating buildings and attractions, which this year will focus on rivers and bridges, and Glasgow’s connection to the slave trade in associaton with the tobacco industry. 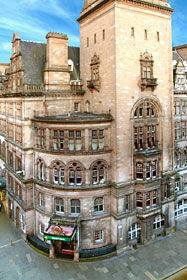 The HÃ´tel Campanile Glasgow (+44/0141 287 7700) located at 10 Tunnel Street, Glasgow G3 8HL is a modern 106-bedroom hotel adjacent to the Scottish Exhibition and Conference Centre and the Glasgow Science Centre. In the CafÃ© Bistro restaurant, the mouth-watering options start with the breakfast and a buffet continues throughout the day. Family special offers include 50% off second rooms booked for children and free breakfast for kids. 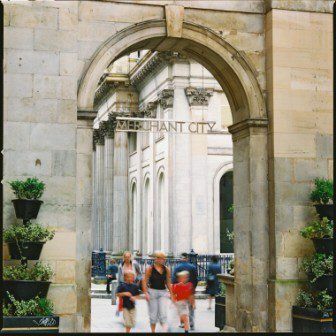 The Quality Hotel Central (+44/0141 2219680) at 99 Gordon St., Glasgow G1 3SF not only offers value and quality, but is also ideally situated right in the heart of the city, offering easy access to its main shopping areas and attractions. There’s an indoor pool and jacuzzi too. Family groups can choose between a standard family room accommodating two adults and two children, or one of the hotel suites, for some extra space. Spires Serviced Apartments (+44/0845 2700090) are a refreshing change to hotel rooms, offering the extra space and freedom of an apartment in a central location in Glasgow, but with the amenities of a four or five hotel, including maid service, continental breakfast options, and complimentary toiletries. Your teens will especially like the stylish contemporary decor and WiFi internet access. This residence property offers many summer specials, including Sunday nights free. 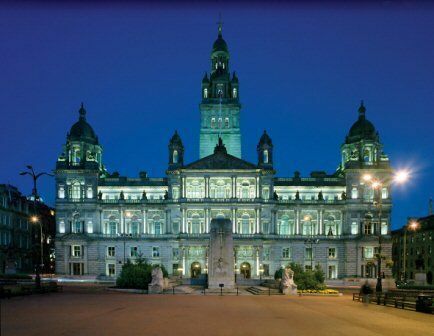 For more information on all things Glasgow, stay in touch with Glasgow In Style, the local tourism board.